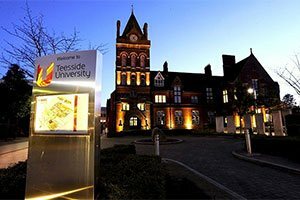 Teesside is a major European centre for the chemical and petroleum processing sector and our MSc helps you gain knowledge and develop skills with industrial relevance. Petroleum reservoir engineering, well drilling, petroleum chemistry and economics of the oil and gas sector are just some of the topics covered. The MSc Petroleum Engineering (with Advanced Practice) offers you the chance to enhance your qualification by completing an internship, research or study abroad experience in addition to the content of the one-year MSc.The programme of lectures and project work encompasses a range of petroleum fundamentals, pertinent to the modern petroleum industry. Project work provides an opportunity for ideas and methods, assimilated through lectures and tutorials, to be applied to real field evaluation and development design problems. Our one-year MSc Petroleum Engineering course is accredited by the Energy Institute under licence from the Engineering Council. This means that it meets the requirements for further learning for Chartered Engineer (CEng) under the provisions of UK-SPEC. 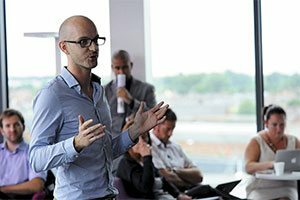 By completing this professionally accredited MSc you could benefit from an easier route to professional membership or chartered status, and it can help improve your job prospects and enhance your career. Some companies show preference for graduates who have a professionally accredited qualification. The earning potential of chartered petroleum engineers can exceed £100,000 a year. The two-year MSc Petroleum Engineering with Advanced Practice incorporates all the elements of the one-year MSc and adds to these the advanced practice module. The new title is being prepared for formal recognition as accredited title. You select your master’s research project from titles suggested by either industry or our academic staff but you may also, with your supervisor’s agreement, suggest your own titles. Here are some examples of the Major Project module developed by our MSc Petroleum Engineering students. This module provides you with a detailed understanding of drilling engineering, the process of well completion, work-over and stimulation to improve well performance. You also cover drilling methods and equipment, and drilling systems such as hoisting systems, power systems, circulation systems and hydraulic systems. You consider drilling mud properties and behaviour, the blow-out preventer and other safety measures, and drilling bit types and performances. This module is delivered through lectures, tutorials and engineering laboratory sessions. You are assessed by an in-course assessment (30%) and exam (70%). This module provides you with an in-depth understanding of the principles of conserving mass and volume in a hydrocarbon reservoir and the effect of rock and fluid compressibility on hydrocarbon recovery. You cover the key concepts of recovery factors as well as displacement efficiency. And you discuss different oil and gas recovery approaches from primary, secondary and tertiary recovery mechanisms. This module is delivered through lectures and tutorial sessions. You are assessed by exam (100%). The module provides you with an understanding of crude oil fractions and components enabling you to study the phase behaviour of reservoir fluids as a function of temperature and pressure. We use different equations of state to analyse the pressure-volume-temperature correlations. You explore how constructing compositional fluid models, using an industry-standard reservoir simulator, enables you to investigate reservoir fluid properties and behaviour. You also discuss oil field corrosion and scaling mechanisms as well as monitoring and inhibition methods. This module is delivered through lectures, tutorials, and IT laboratory sessions. You are assessed by an in-course assessment (30%) and exam (70%). This module provides you with a detailed understanding of petroleum economics as well as concepts related to asset and project assessment and valuation. You investigate the economics of the oil industry and the cost stabilities of large oilfields and their economies of scale. You look into industry-standard reservoir simulators, their theoretical background, and their uses and limitations. You develop an understanding of reservoir management by integrating different operations, sub-processes and upstream activities. This module is delivered through a series of lectures supported by tutorials and IT laboratories. You are assessed by an in-course assessment (30%) and exam (70%). This module covers the key concepts of reservoir engineering including reservoir properties, single and multiple-phase fluid flow through porous media. You are introduced to various reservoir rock types including carbonate and sandstone rocks, and the geological aspects of hydrocarbon reservoirs. You discuss formation evaluations based on well-testing and well-logging interpretations. This module is delivered through lectures supported by tutorials. You are assessed by in-course assessments (30%) and exam (70%). The course is delivered using a series of lectures, tutorials and laboratory sessions. Our MSc Petroleum Engineering is supported by excellent laboratory and engineering machine workshop facilities including fluid flow measurement, computer modelling laboratories, other laboratories and workshops, an excellent library and computing facilities. We have invested around £150,000 in laboratory equipment particularly in within core analysis and enhanced oil recovery. We have several computer laboratories equipped with specialised and general-purpose software. This generous computing provision gives you extended access to industry-standard software – it allows you to develop skills and techniques using important applications. For upstream processes, Teesside University has access to educational software packages like Petrel, Eclipse, CMG, PIPESIM and Ecrin to simulate the behaviour of oil reservoirs, calculating oil in situ, and oil and gas production optimisation. As for downstream processes, you can use HYSYS to test different scenarios to optimise plant designs. 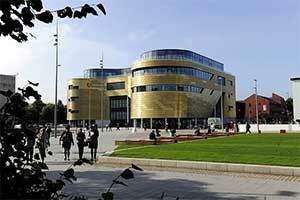 Petroleum Experts Ltd has donated to Teesside University a network system and 10 educational licences for the IPM suite (Integrated Production Modelling software) which includes Prosper, Gap, Mbal, Pvtp, Reveal and Resolve. This £1.3m system and software is used by our students to design complete field models including the reservoir tanks, all the wells and the surface gathering system. The flow through porous media, enhanced oil recovery techniques and core analysis is done in the core flooding lab. The lab is equipped with core plugging and trimming, core preparation and conventional core properties measurement equipment. 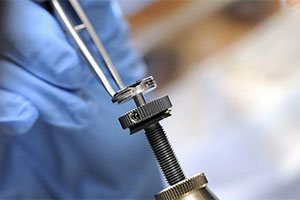 At a higher level, the lab is also equipped to perform some special core analysis measurements such as fluid relative permeabilities as well as rock surface wetting quantification. The petrophysics lab allows you to study the properties of rocks, particularly the measurement of porosity and evaluation of permeability. The lab is equipped with sieve analysis equipment to investigate grain sorting and its effect on permeability and the porosity of rocks. You are able to gauge saturation and fluid flow through porous media. The rock surface characterisation lab is equipped with a zeta analyser to measure the rock surface electric charge. You study the rock surface wetting state, adsorption and desorption potential using digitised contact angle apparatus and thermos-gravimetric apparatus respectively. The drilling lab is equipped with mud measurement equipment including mud density, mud rheology and mud filtration systems to enable you to measure mud cake and formation damage. The lab highlights the importance of oilfield drilling fluids. Assessments include in-course assignments, design exercises, technical reports, presentations or formal examinations. For your MSc project you prepare a dissertation. This course provides specialist education tailored to the upstream and downstream petroleum industry. The relevance of this education, combined with our careful selection of candidates, has encouraged oil and gas companies to target our graduates for recruitment over the years. The petroleum industry is subject to dramatic changes of fortune over time, with the oil price capable of very rapid rates of change in either direction. Petroleum, however, remains the dominant source of energy with current world production of oil and gas at record rates. In this environment, companies face increasing technological and commercial challenges to keep their wells flowing and are increasingly dependent on input from petroleum engineers and geoscientists. It is widely recognised that a steady influx of fresh people and ideas is vital for the longer-term success and stability of an organisation. As a result, it is expected that recruitment will continue, especially if you have the motivation and appropriate qualifications. 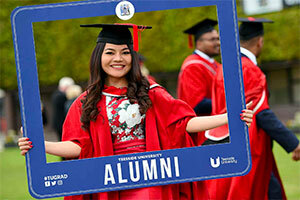 You are normally expected to have at least a 2.2 UK honours degree (or equivalent) qualification. A range of degree subjects are acceptable including petroleum engineering, geology, civil engineering, mechanical engineering, geophysics, chemical engineering, petrophysics, physics, mathematics or chemistry.